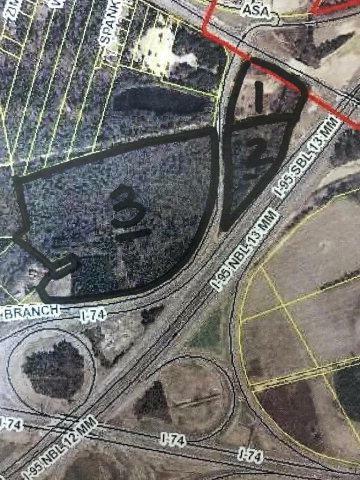 Located off Hilly Branch Road and Hwy 74, these three parcels #02070101102 - Deed Book 796, page 632. Parcel #020701009 - Deed Book 534, page 198. Parcel #02070101101 - Deed Book 796, page 632 have visibility from I-95. One lot is zoned Residential Agriculture and 2 lots are zoned Commercial Vacant. There is plenty of road frontage.